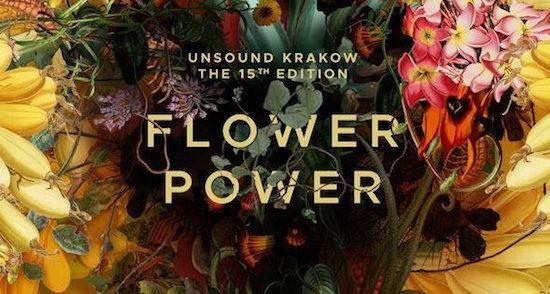 The day programme for next month's Unsound in Kraków has been announced with a number of talks, workshops and NTS' radio studio all confirmed. tQ, amongst others, have helped to curate this year's day programme. Amongst the confirmations are a discussion led by Mat Dryhurst on how decentralised technology could learn from utopian musical collectives of different eras, our own Luke Turner talking about how we might engage with our woodlands via gender as well as sexual and political identities, and a synthetic field recording installation by Dominick Fernow operating under his Rainforest Spiritual Enslavement guise. The work is titled Shield Ferns / Brown Pine Magic, and was commissioned by Unsound Australia for initial presentation in Adelaide. A discussion called '(A)social behaviour' will explore the subject of public shaming on social media, with Lisa Blanning hosting the panel - she will be speaking to Jlin, Varg, RRRKRTA and Electronic Beats editor Elissa Stolman. Our own Luke Turner will lead another panel looking at the complex relationships between brands and counterculture - panellists for that will be announced in due course. The Wire's Derek Walmsley will speak with Lee Gamble, Lisa Blanning and Agata Pyzik about the legacy of the late writer and theorist Mark Fisher, while Repeater Books publisher Tamar Shlaim will speak with Pan Daijing and writers Agata Pyzik and Maya Kalev about how to deal with misogyny in music, as fans, musicians and critics. Another highlight of the panel programme will see Discwoman co-founder Frankie Hutchinson speak with fellow Discwoman co-founder Umfang, as well as Jlin, Noncompliant, FOQL, VTSS and Avril Stormy Unger, about technoactivism. You can check the full Unsound day programme via their website here, where you can also find the full line-up.